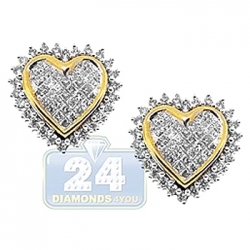 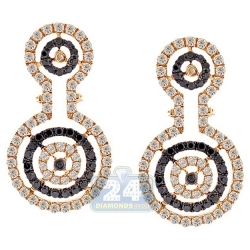 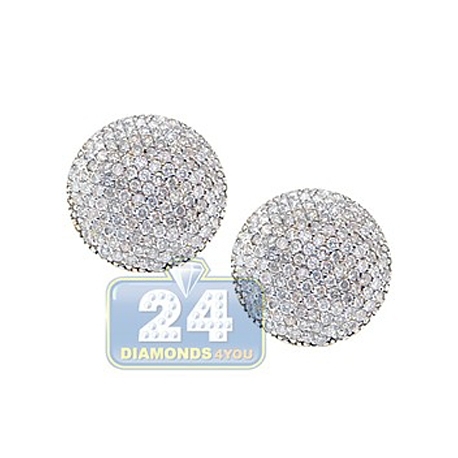 Get a lot of compliments wearing this stunning pair of round stud earrings! 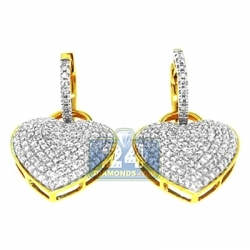 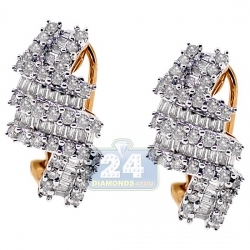 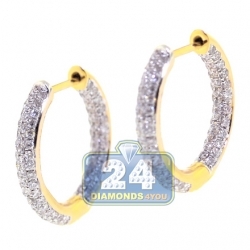 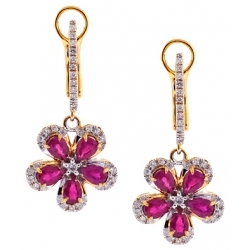 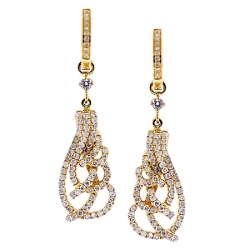 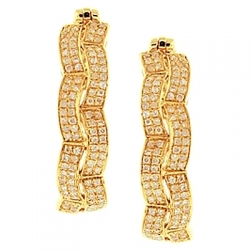 Professionally created from rich 14 karat yellow gold, they have highly polished shiny finish. 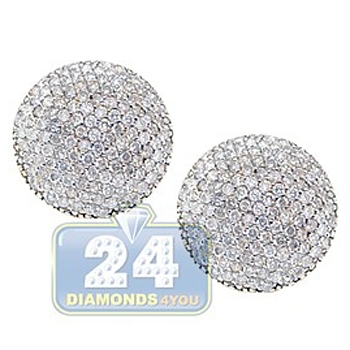 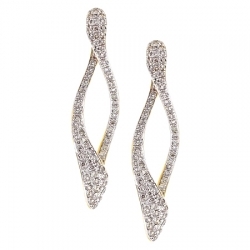 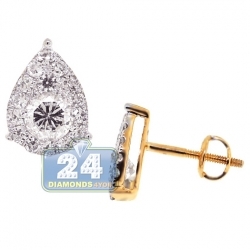 These women's stud earrings are paved with 1.70 carat of icy white round brilliant cut natural diamonds. 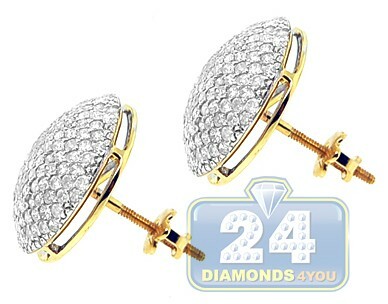 The pair measures 15 mm in width, and closed by secure screw backs. 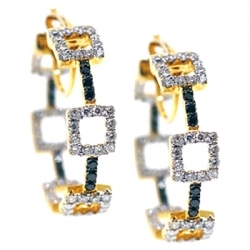 Breathtaking piece of jewelry!